The Debt to Asset Ratio, also known as the debt ratio, is a leverage ratioLeverage RatiosA leverage ratio indicates the level of debt incurred by a business entity against several other accounts in its balance sheet, income statement, or cash flow statement. Leverage ratios include debt/equity, debt/capital, debt/assets, debt/EBITDA, and interest coverage. This guide has exmaples and Excel template that indicates the percentage of assetsTypes of AssetsCommon types of assets include: current, non-current, physical, intangible, operating and non-operating. Correctly identifying and classifying the types of assets is critical to the survival of a company, specifically its solvency and risk. An asset is a resource controlled by a company which future economic benefit that are being financed with debt. The higher the ratio, the greater the degree of leverage and financial riskSystemic RiskSystemic risk can be defined as the risk associated with the collapse or failure of a company, industry, financial institution or an entire economy. It is the risk of a major failure of a financial system, whereby a crisis occurs when providers of capital lose trust in the users of capital. The debt to asset ratio is commonly used by creditors to determine the amount of debt in a company, the ability to repay its debt, and whether additional loans will be extended to the company. On the other hand, investors use the ratio to make sure the company is solvent, is able to meet current and future obligations, and can generate a returnInternal Rate of Return (IRR)The Internal Rate of Return (IRR) is the discount rate that sets the net present value of an investment equal to zero. This guide to calculating IRR will give several examples and who why it's used in capital budgeting, private equity and other areas of finance and investing. If IRR is greater than cost of capital, on their investment. 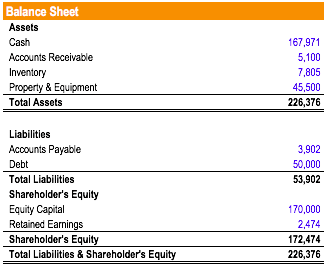 Total assets may include all current and non-current assets on the company’s balance sheet, or may only include certain assets such as Property, Plant & EquipmentPP&E (Property, Plant and Equipment)PP&E (Property, Plant, and Equipment) is one of the core non-current assets found on the balance sheet. PP&E is impacted by Capex, Depreciation and Acquisitions/Dispositions of fixed assets. These assets play a key part in the financial planning and analysis of a company’s operations and future expenditures, at the analyst’s discretion. Debt to asset ratio = $50,000 / $226,376 = 0.2208 = 22%. Therefore, the figure indicates that 22% of the company’s assets are funded via debt. The debt to asset ratio is commonly used by analysts, investors, and creditors to determine the overall risk of a company. Companies with a higher ratio are more leveraged and hence, riskier to invest in and provide loans to. If the ratio steadily increases, it could indicate a default at some point in the future. A ratio equal to one (=1) means that the company owns the same amount of liabilities as its assets. It indicates that the company is highly leveraged. A ratio greater than one (>1) means the company owns more liabilities than it does assets. It indicates that the company is extremely leveraged and highly risky to invest in or lend to. A ratio less than one (<1) means the company owns more assets than liabilities and can meet its obligations by selling its assets if needed. The lower the debt to asset ratio, the less risky the company. Company D shows a significantly higher degree of leverage compared to the other companies. Therefore, Company D would see a lower degree of financial flexibility and would face significant default risk if interest rates were to rise. If the economy were to undergo a recession, Company D would more than likely be unable to stay afloat. On the flip side, if the economy and the companies performed very well, Company D could expect to have the highest equity returns, due to its leverage. Company C would have the lowest risk and lowest expected return (all else being equal). The debt to asset ratio is very important in determining the financial risk of a company. A ratio greater than 1 indicates that a significant portion of assets is funded with debt and that the company may be facing default risk. Therefore, the lower the debt to asset ratio, the safer the company. As with any other ratios, the ratio should be evaluated over a period of time to access whether the company’s financial risk is improving or deteriorating.